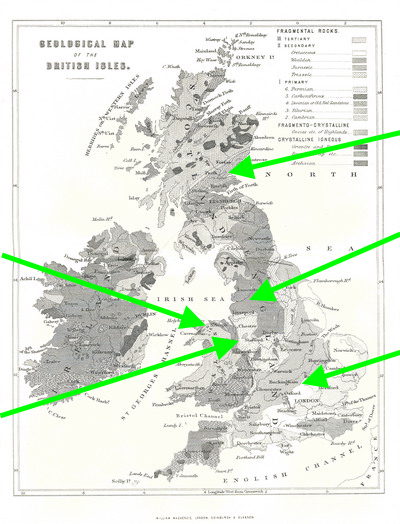 This map shows a few of the many underground sites in the British Isles. Links will take you to more detail on this site. If you do not want to visit a show site (see list below), then there are still plenty of options but even more so than caves and mines, most sites are tightly controlled by their owners. The best route is to contact a local club such as the Friends of Williamson Tunnels in Liverpool or Subterranea Brittanica. Clubs that open up and maintain such sites often limit there activities to that site or to a small range of similar sites as access is often difficult to maintain. There are several places in the UK which are underground but are nether cave nor mine. Places you can visit include grottoes (such as in Bristol or Stourhead in Wiltshire), cold war bunkers (such as Anstruther in Scotland or Kelvedon Hatch in Essex), catacombs (central London), houses (Worcestershire in Shropshire), air raid shelters (Stockport) and storage caves (Reigate and Bristol).